Priyanka Chopra is a power woman in every sense of the term. She may have moved to the US, but she remains one of the top female actors in Bollywood. No wonder, even her husband Nick Jonas, can’t seem to get enough of her, report Hindustan Times. The picture is from their December wedding in Jodhpur last year. Wearing a bright red gown, with mehendi on her hands, sporting the north Indian bridal chooda (bangles), heavy diamond necklace and maang tika (head gear) with her engagement ring displayed prominently, Priyanka looks resplendent as a bride. Earlier in the day, Priyanka shared her favourite quotes by a few of the most inspiring women in the world. On a lighter note, appearing on The Late Late Show With James Corden’s Carpool Karaoke, Nick confessed that he was indeed fed up with the many wedding ceremonies and receptions after he tied the knot last year. However, all that is past and Priyanka seems to have fitted in perfectly well and Nick too adores his wife. 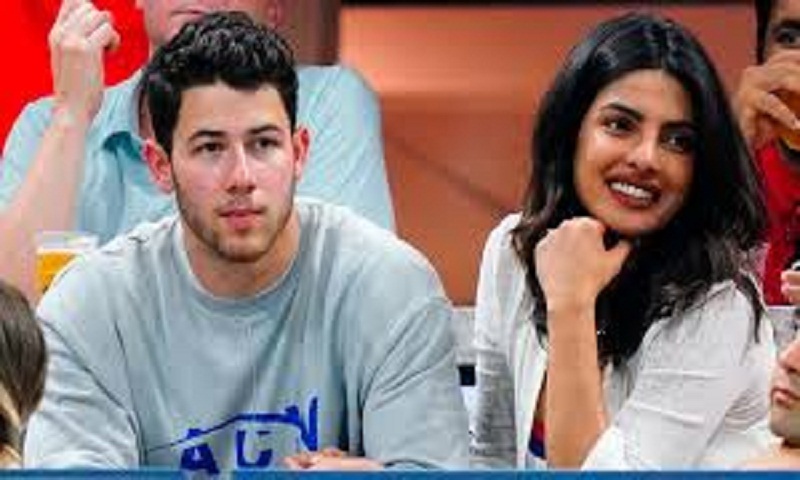 However, there was one member of the Jonas family who didn’t initially warn up to Priyanka and that was Nick’s older brother Kevin’s daughter Valentina, report Hindustan Times.